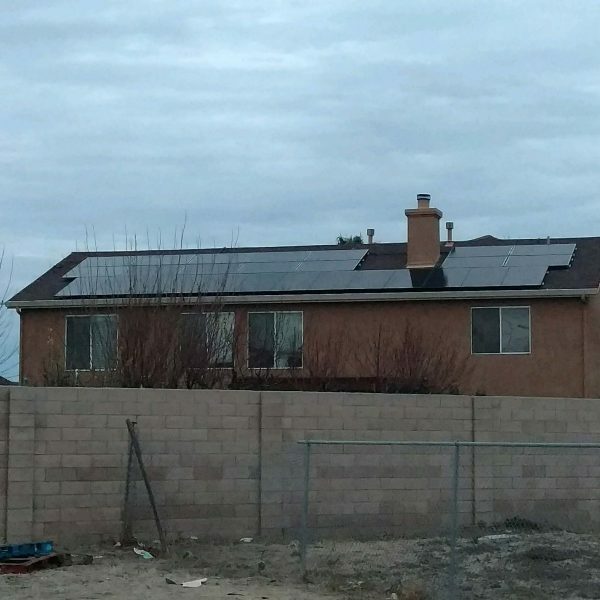 Los Banos 11.5kW Solar System Earth Electric installed this 11.5kW solar system in Los Banos in January, 2018. The customer chose Hanwha QCELLS 295W panels and a 10kW SolarEdge inverter with optimizers and monitoring software. Hanwha QCELLS panels are an excellent choice for customers who want reliable yet affordable solar panels. 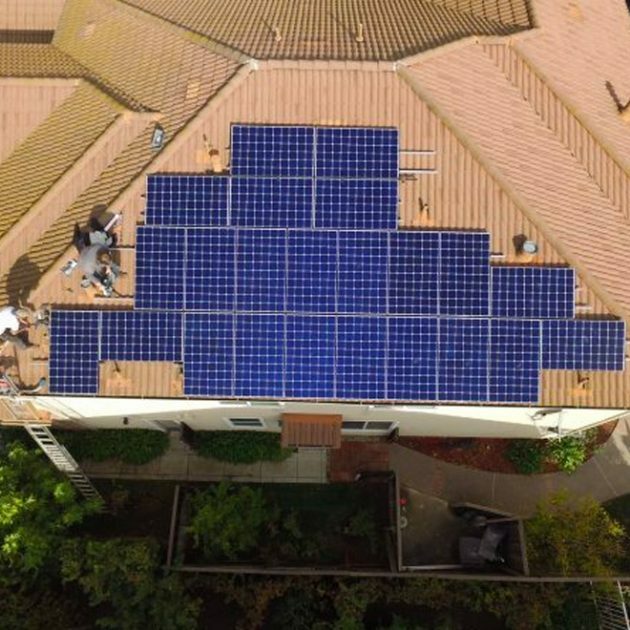 We've installed many Hanwha..
Cupertino 8.25kW Solar System Earth Electric installed this 8.25kW system in Cupertino in August, 2017. The customer chose LG 330W panels and a SolarEdge 7.6kW inverter for their system. 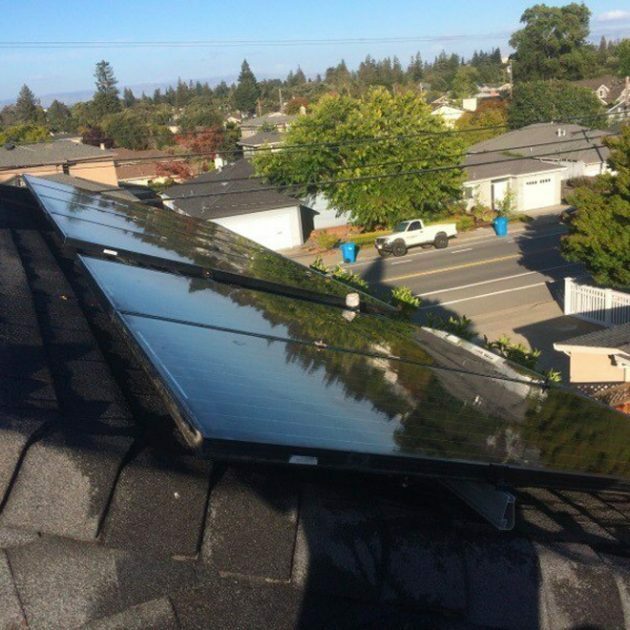 At Earth Electric, we know that a solar system isn't one-size-fits-all. There are tons of solar panel manufacturers out there. 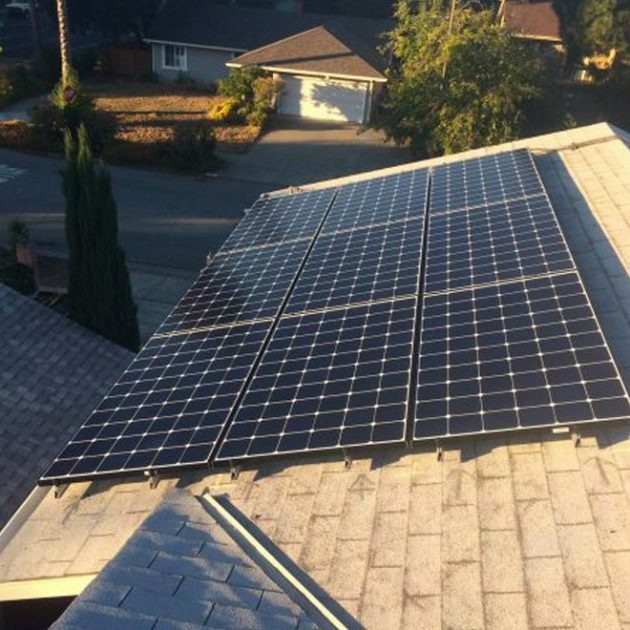 How will you know which brand..
Los Gatos 16kW Solar System This 16kW solar system was installed by Earth Electric in August, 2017. The system includes LG 320W panels and a SolarEdge 7.6kW inverter with optimizers and monitoring software. As a local, growing company, we're familiar with the building codes and permitting process throughout the Bay Area. 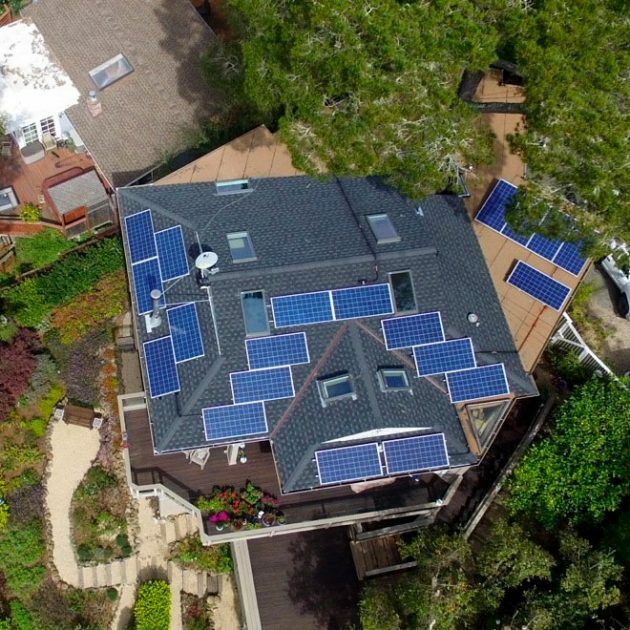 Large companies with no..
Earth Electric installed this 6.4kW solar system in Aptos, Santa Cruz County, in March, 2017. The components of this system include 20 Canadian Solar 320W panels and a SolarEdge 6kW inverter with optimizers. At Earth Electric our goal is to install a system that suits your needs. 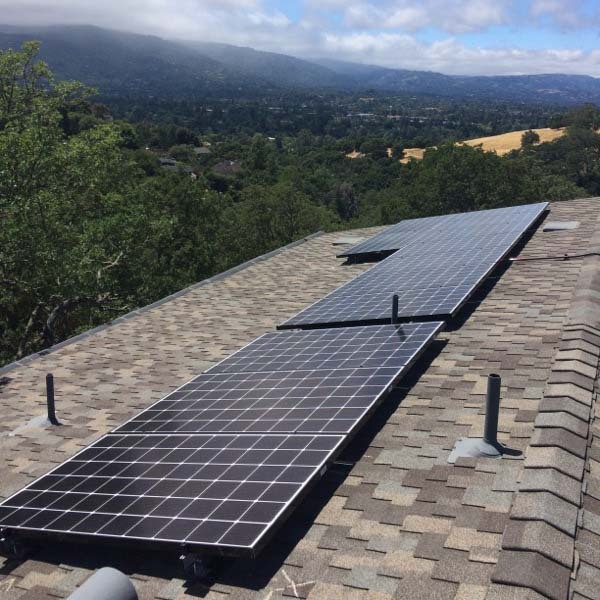 We educate our customers on their panel and..
Earth Electric installed this 14.08kW solar system in Los Altos Hills in January, 2017. There are 44 Canadian Solar 320W panels and a SolarEdge 11.4kW inverter with optimizers included in this system. 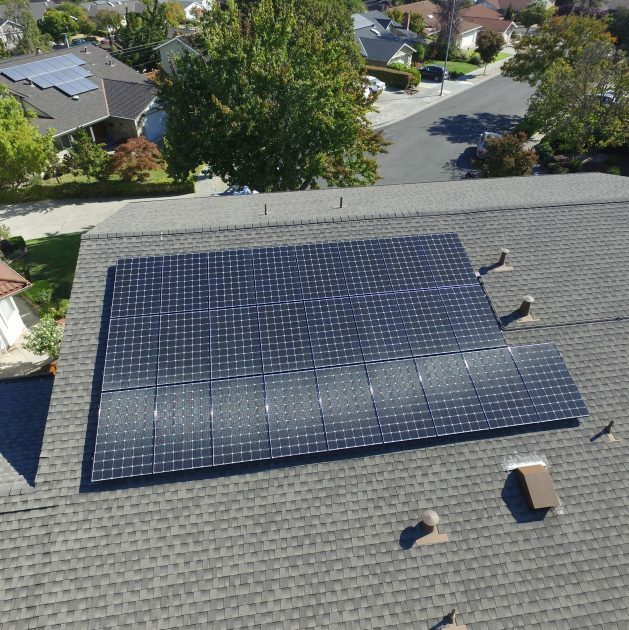 You might notice something unique about this system: It's not mounted on the roof of the home, but rather on the ground near..
Earth Electric installed this 15.69kW solar system in San Jose in November, 2017. The system's components include 43 LG 365W panels and two 7.6kW SolarEdge inverters. We prefer SolarEdge inverters with optimizers because they have been far more reliable than other types of inverters. SolarEdge also provides monitoring software so that we and the customer..
Earth Electric installed this 8.05kW system in November, 2017. The components of this system include 23 LG 350W panels and a 7.6kW SolarEdge inverter. Tile roofs are notoriously difficult to work on because they're very fragile and can easily break. Our experienced crew at Earth Electric didn't crack a single tile! 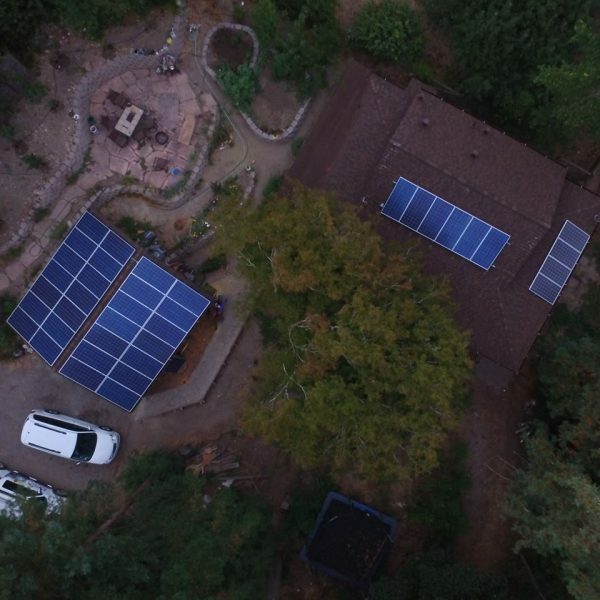 You can count on..
Earth Electric installed this 11.8kW system with Talesun 310W panels and SolarEdge 7.6kW and 3.8kW inverters in beautiful Felton, CA in September, 2017. This system has a whopping 38 panels! The customer had been wanting to go solar for a long time and was very happy to plug into the sun! "The Earth Electric crew..
Earth Electric installed this 4.2kW system in September, 2017. 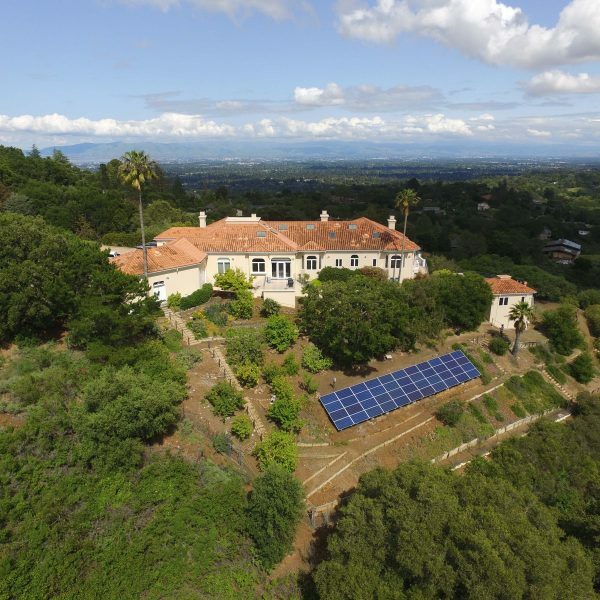 The customer had an older solar system with an Enphase inverter that was no longer meeting his needs. We installed 15 new Jinko Solar 280W panels and a SolarEdge 3.8kW inverter. 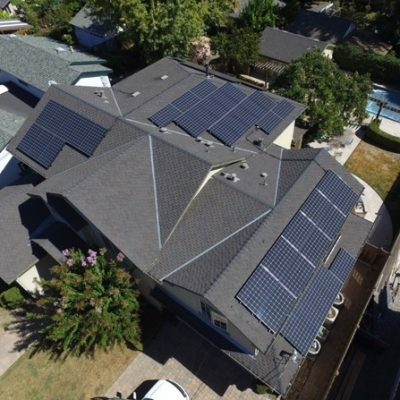 This system now has both an Enphase and SolarEdge inverter, which means AC and DC were..
Earth Electric installed this 15.18 kW roof-mounted system in Sunnyvale, CA in September, 2017. This customer had an older solar system that no longer met their needs. We designed a new system for them with 46 LG 330 Watt solar panels and a SolarEdge 11.4kW inverter with 400W optimizers. We removed the old system and..